The term totalitarianism is widely used to describe the system created by Stalin. Under him, the Soviet Union was run by means of a personal dictatorship backed by mass terror and other blatantly oppressive means. Some analysts believe that the term can equally be applied to the post-Stalin period and that the crude totalitarianism of Stalin only foreshadowed the more subtle totalitarianism practiced under Brezhnev. They say that the post-Stalin USSR remained a monolith run by a narrow group of top party officials headed by the supreme party leader. In their definition of totalitarianism the American political analysts Carl Friedrich and Zbigniew Brzezinski identified six key elements of a totalitarian system: (1) an official ideology intended to achieve a “perfect final stage of mankind”; (2) a single mass party, closely interwoven with the state bureaucracy and typically led by one man; (3) the party’s control over the military; (4) the party’s monopoly of the means of effective communication; (5) state terror enforced by a ubiquitous secret police; and (6) central direction and control of the entire economy. Although some supporters of the “totalitarian” approach later recognized the existence of group interests in the postwar Soviet Union, they insisted that group activity did not play any significant political role in the pre-Gorbachev times. 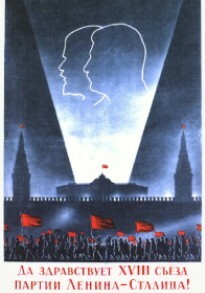 They claimed that group interests stood practically no chance of reaching an “organized” stage and having any effect on the distribution of power in the Soviet political system. Almost throughout its history the Soviet Union remained a totalitarian state, in which the party-state leadership exercised unlimited control over society and did not tolerate autonomous political activity. The adherents of this school for a long time simply ignored the problem of interest groups as irrelevant to the study of the Soviet political system.